Bells Atlas is a psychedelic R&B band from Oakland, California. Their thoughtful, textured sound has consistently answered the call for something new and refreshing. 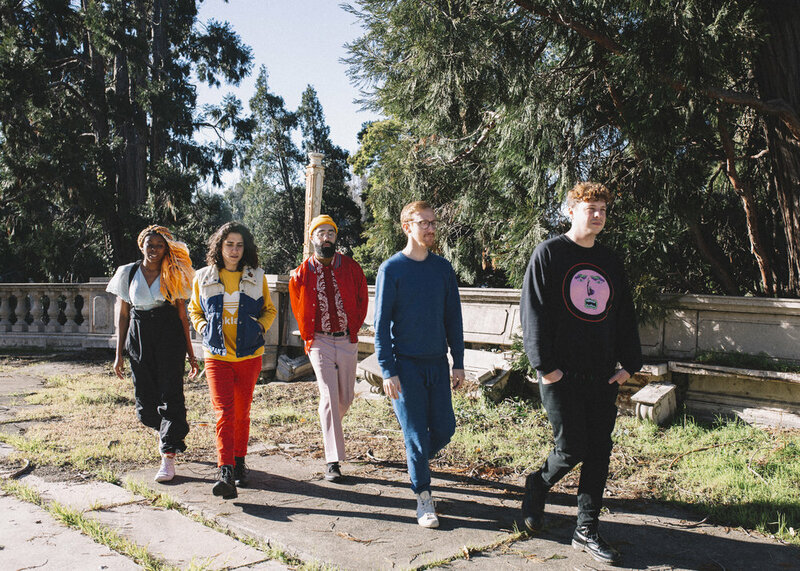 Bells Atlas has shared the stage with Hiatus, Kaiyote, Badbadnotgood, Meshell Ndegeocello, Bermuda Triangle, and tours with NPR’s Snap Judgement. Band members Sandra Lawson-Ndu, Douglas Stuart, Geneva Harrison, Derek Barber, and Steven Blum carve through musical genres to create their own stylings-- and the result is a buoyant, soulful sound that is unique yet accessible. The band’s latest offering the mystic digs further into their soulful aesthetic to explore both sound and storytelling. It began with the musicians stumbling upon a new, more production-oriented process for songwriting that included sampling grainy phone recordings. The spontaneity and even humour that came from that process elevates Bells Atlas’ already distinct approach to music, resulting in the mystic’s raw, cosmic sound that is mirrored in its lyrics. The record can be seen as a sci-fi fantasy of two first-generation Nigerian American women coming to terms with a mental health diagnosis, and at the same time, a very universal exploration of how we make sense of reality. “It’s about a truth seeker and a skeptic trying to make sense of what’s mystical and what’s clinical,” frontwoman Sandra Lawson-Ndu says. The listener is made to consider the possibility of magic. Is it possible, for instance, that someone who navigates the world differently may have a deeper understanding of the universe? Is it possible that we all have some kind of obstructed view on our environment? With deep emotionality and levity, the music of Bells Atlas is a tool to explore the full dimension of our reality. Copyright © 2019, Crossover Touring, All rights reserved.